Solaflect develops, manufactures, and installs tracker mounted solar panels. Founded in 2007 and based in Norwich, Vermont, we deliver residential and small business solar solutions throughout New England, with a particular focus on the communities in the Upper Connecticut River Valley of Vermont and New Hampshire. 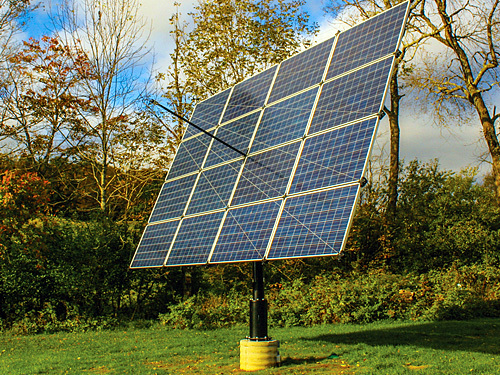 Our tracker mounted solar panel system, or Suspension Photo Voltaic TrackerTM, follows the sun providing about 40 percent more electricity than rooftop or fixed mount solar panels. During winter storms, the solar Tracker can be positioned vertically, shedding snow much better than fixed mount solar panels. And snow free panels generate more electricity. 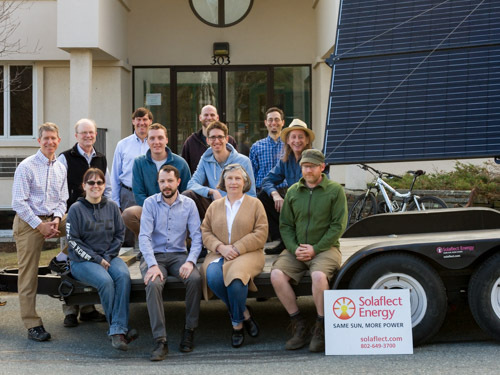 Solaflect Energy has won two $1 million awards from the United States Department of Energy’s SunShot Program. 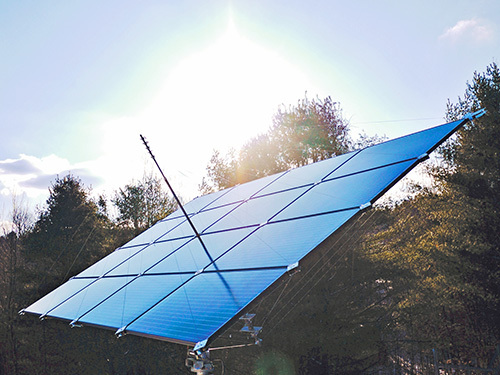 Our innovative suspension technology uses two-thirds less steel than traditional solar tracker designs, which dramatically reduces costs and makes Trackers affordable. Solaflect designs and manufactures our trackers right here in Vermont. Our dedicated team of engineers continues to make technological breakthroughs to reduce the cost of solar energy. Our Suspension PV Tracker has international patent protection, and is gaining notice throughout the world. Contact us today to learn more about what makes Solaflect and our tracker mounted solar panels the premier choice in residential and small business solar solutions.